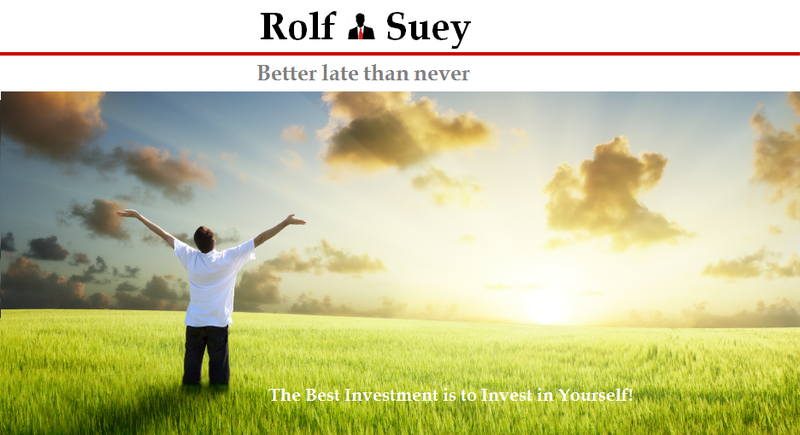 Rolf Suey - Better Late Than Never: Why is Raffles Medical Great? – A tale of personal experience! I am no stranger to hospital visits. I had personally gone through surgeries, check-ups and follow-ups and even hospitalised for weeks before. Of course there are also more joyful visits such as newborn experiences. While I am generally satisfied with Singapore above par hospital/ healthcare services, I am most impressed by Raffles Hospital standing proud along North Bridge Road. Raffles Hospital is the flagship business belonging to Raffles Medical Group (SGX: R01) “RMG” listed in SGX. This is the hospital that made news pioneering surgeries separating Siamese twins. RMG started with two clinics in 1976 founded by Dr Loo Choon Yang and Dr Alfred Loh. Few years later, it was renamed Raffles Medical adopting the name of two founders’ school, Raffles Institution. The company is a healthcare service provider with business segments mainly in hospital services and healthcare services. The Hospital segment is exemplified by flagship Raffles Hospital, which contributes 63% of total revenue. Healthcare Services accounts for 34% of total revenue, comprise of 78 multi-disciplinary clinics in S’pore and 4 medical centres in HongKong and Shanghai. This segment also includes healthcare insurance and the development and distribution of nutritional supplements, vitamins, and medical diagnostic equipment. Investment, which is non-core, and consists of mainly investment properties accounts for 3% of the total revenue. My first visit to Raffles Hospital was early last year, when I accompanied an overseas colleague there, after he was injured onboard an offshore vessel in Singapore. A friend suggested Raffles Hospital. It is absolutely the right choice. The whole experience from admission, consultation, x-rays to treatment, and eventually payment, was so efficient and smooth sailing. Months later, the unfortunate victim is me! I met with an accident and had severe lacerations around chin area. Without hesitation, I head straight to Raffles Hospital again, attended by Dr/Prof Walter Tan of plastic surgery department. I suffered twenty-stiches while wide awake in a more than hour-long surgery. Even more punishing, are the post operation pain, permanent scarring and abstention from solid food for a month or so – NO JOKE! Aside from the pain, I am pleased by the efficiency of the whole process, and first-rate services rendered by hospital staffs from admin, nurses and my doctor. In my subsequent follow ups, the excellent services remained. On one occasion, I drop an email to my doctor and he responded promptly. It comes to me as a surprise despite him being head of department with such busy schedules. Impress by the superior services Raffles Medical provided, I also scheduled my regular dental checks there. This is despite the longer travel distance compare to neighborhood dentist. My dentist is Dr Adrian Goh. To me, he is the friendliest, most polite and happiest doctor I ever come across. The scaling and polishing treatments are also very professional without causing any hurt or even discomfort. 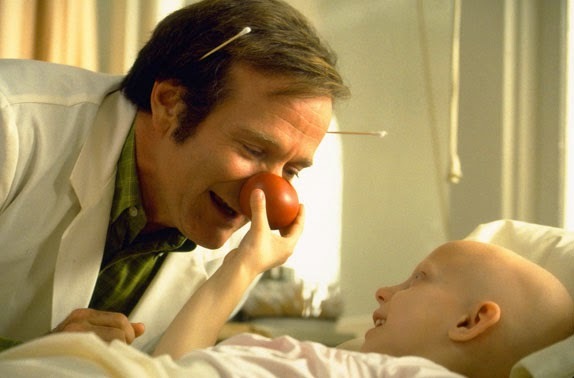 Subsequently, the illness-prone Rolf developed sinus problem and led to few visits to the ENT department. Again there were no surprises to the good services offered. Unlike many other doctors I met/ heard, both Dr Tan and Goh are no money-suckers. I completed my scar treatment last month. In fact, I asked Dr Tan for more follow ups and injections to soften the scar tissues, but the advice was let time heal the scar, and not to spend unnecessary. For the dental treatment, it is bi-annual schedule. In my last visit, Dr Goh was pleased with the upkeep of my oral cavity, and advised that I can re-visit him on a yearly basis instead to save some money. I told him to stick with 6 months appointment. Firstly, I love the after-feel of teeth shining; secondly, why would I resist seeing regularly a doctor who is so jovial, courteous and yet professional. Price is reasonable within a hundred bucks for private hospital charges. What is even more heartening was a ten percent off my total bill specially initiated by Dr Goh. In all my visits to Raffles Hospital, I never once have problems finding car parking lots. Finding car park lots is not as easy as one may think in many other hospitals. Moreover Raffles Hospital car park rates are very reasonable comparing hospitals within core central region. See below. Overall I am charmed by Raffles Hospital “book’s cover and its contents”! The ambience and decorations of the hospital are soothing and modern. Hospital staffs are friendly, courteous and seemingly happy – Always! I also like the fact that there is also no appointment card needed. One week before every appointment, there will be advance SMS reminder followed by a physical telephone call days before. During many of my visits, I was remembered by appearance, without even having to show my identification card for registration. Doctors there are professional with high “EQ” and treat patient with respect, explaining every major procedure in detail. Peter Lynch suggests that investor should keep alert for possibilities based on their own experiences. Seeing this truly great company and discovering its excellent balance sheet later, I see no reason why I should not own the company last year. The share price and earnings performance of the Raffles Medical are just as good as the healthcare services offered by the company. Stay tune to my next post where I will cover more on the financial performance of the company. Examples of Two Typical Bills - ADDED after request from reader! This is upon request from a reader. 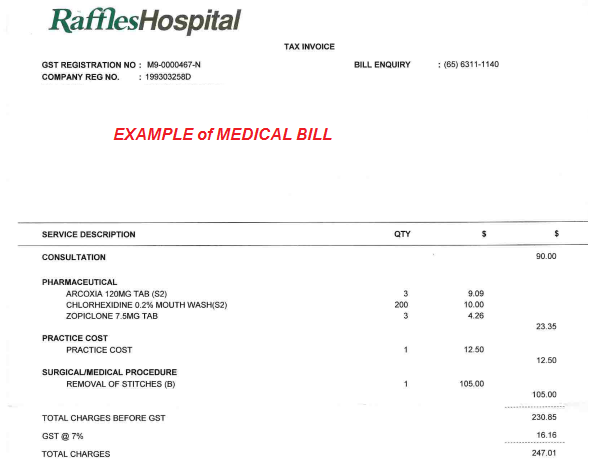 Note that the bills may not be an accurate representation of the pricing. It varies depending on doctors, time and types of treatments etc. It is merely for information only here! Also I am in no way promoting the Raffles Medical Group since I am vested in it. I am just relating my own experiences and it may differ with different individuals. Owning a business while spending on its business. Cool. On a separate note, how was the hospital bill? Thanks. I am sure there are good Singaporean doctors around, although I had met “money sucker” & “don’t ask too much” doctors. They quote high price and keep asking you to do all the different types of tests without wanting to explain to you why. Doctor’s service is bad, so are the nurses who are very not accommodating. They just want to convince you that it is necessary to do the test. How? by scaring you on the undesirable consequence, if you don’t. Instead, the good doctors explain to you why thoroughly. Thanks. The more cool part is, bills were mostly financed by insurance and my company medical plan. For the bills, you can refer to my updated post. 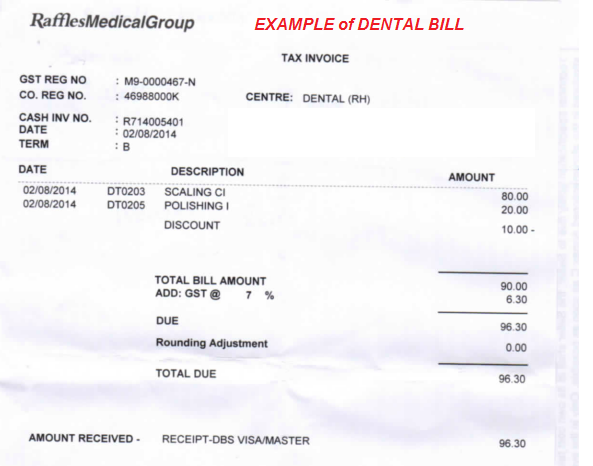 I just attached two samples of dental/medical bills. For dental, I strongly recommend Doctor Adrian Goh. Note: I am in no way related to him. Very briefly and general, I think my experience show that it is cheaper than Mount E or Gleneagles! But I think it depends. Sometimes they will charge cheaper in Consultation but higher in surgery or medicine. More important for me is, I hate the small waiting area in Mount E or Gleneagles. And yes, the parking in Mount E is terrible. I also have appointments in SGH (private & public) wards before. The doctors are good but waiting time is longer (for public), and doctors spend lesser time explaining to patient, mainly because they have too many patients, I think. Price is of course reasonable. If you have to pay out of your own pocket and do not want to wait too long, you can try SGH private ward. Just an opinion. Medical chart mistakes - In this case, a nurse or physician makes an inaccurate note on a medical chart that leads to more mistakes, such as the wrong medication being administered or an incorrect medical procedure being performed. This could also lead to a lack of proper medical treatment.